The ACCC has instituted proceedings in the Federal Court against Amaysim Energy Pty Ltd (trading as Click Energy) alleging it made false or misleading marketing claims about discounts and savings that Victorian and Queensland customers could obtain, in breach of the Australian Consumer Law. From around October 2017 to March 2018, Click Energy represented to consumers in Victoria and Queensland that under its market energy offers, they could get discounts of between 7 and 29 per cent off Click Energy’s energy charges if they paid their bills on time. 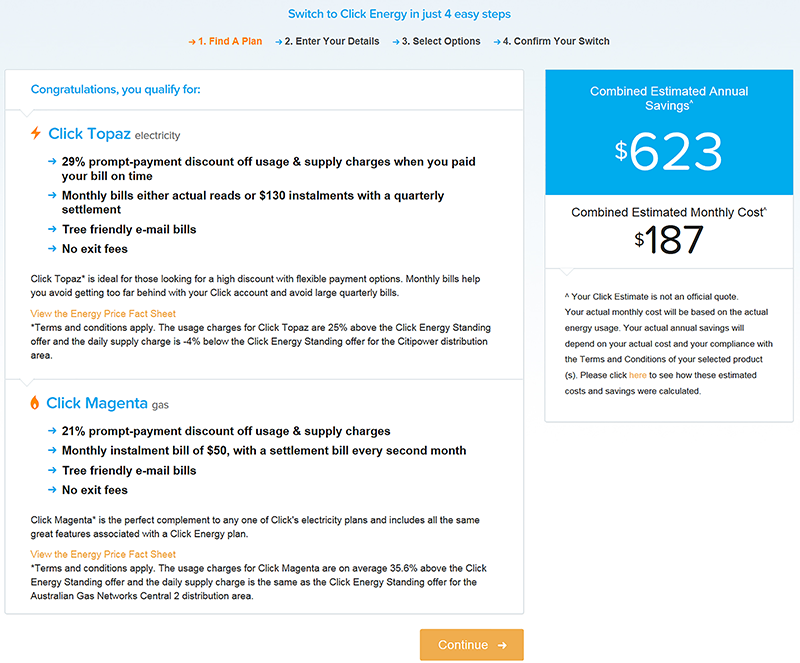 The ACCC alleges that these representations were false or misleading because the discounts offered applied to Click Energy’s market offer rates, which varied and were higher than Click Energy’s standing offer rates. “When compared with Click Energy’s standing offer rates, the discounts were much lower than advertised. In some cases, there was no discount at all,” ACCC Chair Rod Sims said. Since October 2017, Click Energy also represented that consumers would save an estimated amount if they switched, which we allege is false or misleading as they had no proper basis for these representations. “The advertised savings were based on the amount a consumer could save with Click Energy by paying on time, and not on any estimate of savings a consumer switching from another retailer would obtain,” Mr Sims said. “The retail electricity market is too complex and opaque. Customers need to trust that discounts and savings advertised by retailers are accurate so they can make informed choices about which products are best for them,” Mr Sims said. These proceedings relate to Click Energy’s promotion of electricity and gas market offers on its website to consumers in south-east Queensland and Victoria. Amaysim Energy Pty Ltd (trading as Click Energy) is a subsidiary of Amaysim Australia Ltd (ASX: AYS).